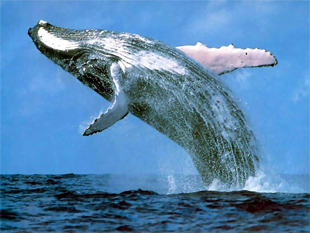 South Africa has to be one of the most incredible destinations worldwide for watching marine mammals. 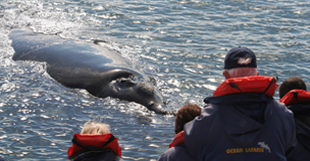 In early June, southern right whales leave their Antarctic feeding ground to frolic in the warm waters of the Cape coast. Here they mate, calve and generally hang out, occasionally flopping a tail up, or sticking their heads out of the water to check out the humans. They are so easy to watch. 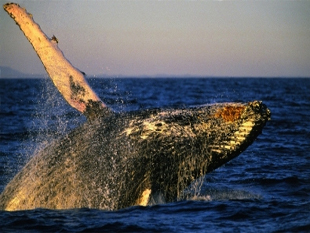 Plettenberg Bay can with right claim being the whale capital of the world. These huge beasts sometimes loll around mere meters from the shore, thus they are clearly visible for some spectacular shore and cliff based whale watching from points along Robberg and Keurboom beaches and Robberg Nature Reserve. 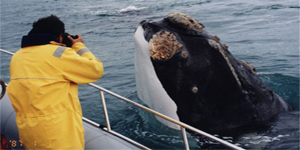 Whale presence in our bay is from mid May to February with the southern right whales around from June to November, the migratory humpback whales arrive with their calves early November and stay until the end of February and we see them again during May and June. We have all year round sightings of the resident Bryde’s whales, pods of Bottle Nose and the shy indo-pacific humpback dolphins. A breeding colony of Cape fur seals along the Robberg Nature Reserve peninsula further provides excellent sightings all year round of marine animals. Although one can often see whales from the beach, the ideal vantage point is on an elevated ridge or high point overlooking the ocean. One can see a great deal with the naked eye, but a pair of binoculars definitely enhances the experience greatly. Good shore and cliff-based whale viewing sites is Plettenberg Park, Robberg Peninsula in the Robberg Nature Reserve, No 1 Beachy Head Drive, Beacon Island Rocks, Van Plettenberg Monument, Lookout Rocks, The Lookout View site and last, but not least, spectacular viewing along Keurboomstrand beaches and look out points. 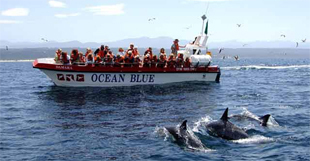 Here in Plettenberg Bay, the dolphin and whale-watching industry is one of the most organized, with boat trips, a dolphin-watching kayak operation and a number of aircraft from which you can have impressive aerial whales’ sightings. At Milkwood Manor, we are proud to say that we are promote and support a responsible boat-based whale and dolphin-watching program. Operators are closely monitored to ensure that the recommended distances and time spent with each animal is being adhered to ensure minimal interference and impact on our marine animals. Boats are big, comfortable and moderately dry. Boarding is easy and people in wheelchairs can be accommodated. For those more adventurous, paddle out in a sea kayak for closer encounters with whales and dolphins, they often surface near you. Not as intimate, but fascinating nonetheless, the option also exists to fly over the bay and have a bird’s eye view of whale and dolphin antics down below. 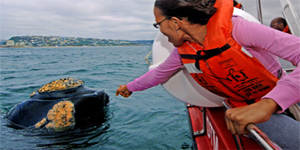 5 Responses to It’s Whale Season in Plettenberg Bay! and I’m surprised this coincidence didn’t happen earlier! The whales fantastic this time in Plett. Thanks for your post. I bookmarked it. What’s up mates, how is everything, this post is amazing, just like the rest of your blog. Thanks for taking the time. We have whales here too, but nothing compared to the way that you describe them. I feel like packing my bags and coming to Plettenberg Bay immediately. Super-informative blog. Thanks for the read.